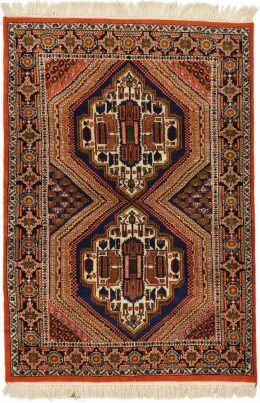 About 80 miles from Isphahan in central Persia, this town has woven rugs intermittently since the 18th century, mostly in lattice and flower patterns. Weaves are medium fine and the style is semi-urban. 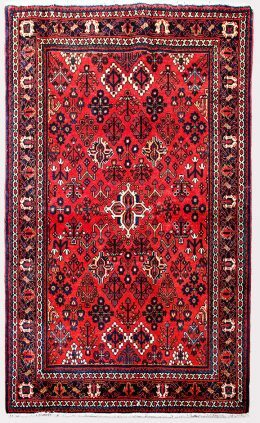 Antique Persian Joshagan rugs are relatively rare and there never was a significant export production. 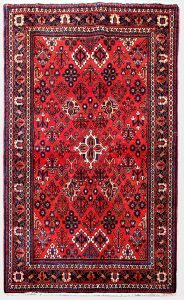 They are a true Persian carpet, unaffected by external style trends or the vagaries of taste. Reds and blues are the preferred colors.